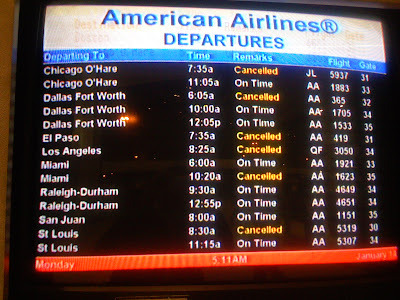 Well there are three DFW flights on the board and only one is cancelled. The other two are showing on time. I am assuming there are several more during the day. What is the big deal? It isn't like you had no options. I am also assuming you are ExecPlat and will have priority on the waitlist for the next flight. Look at the current time and scheduled departure times.